Business management is a demanding subject that involves perseverance and rational thinking in tough situations. Getting MBA admissions in Bangalore involves preparation for a rigorous entrance test conducted for this purpose. A good college for pursuing a versatile program like MBA is the one that has commitment to current and evolving practices in the real-world market. They help the student acquire working knowledge and skills in the basic disciplines of management. These colleges have an updated curriculum as per industry requirements. They guide and mentor their students in every step of the program. The specialization and entrepreneurship program give the students in hand experience of the various projects assigned. Thus, make them industry ready and employable. The teaching method is Research Orientated. Most of the MBA colleges in India ask their candidates for their CAT (Common Admission Test) scores. The Common Admission Test (CAT) is a 180-minute test consisting of 100 questions. The online test is conducted every year by the IIMs.There is no age limit for applying for CAT. The question paper consists of 34 Quantitative Ability questions, 34 questions from Verbal Ability and Reading Comprehension, and 32 questions from Data Interpretation and Logical Reasoning. Xavier Aptitude Test (XAT) is conducted by Xavier Association of Management Institutes. 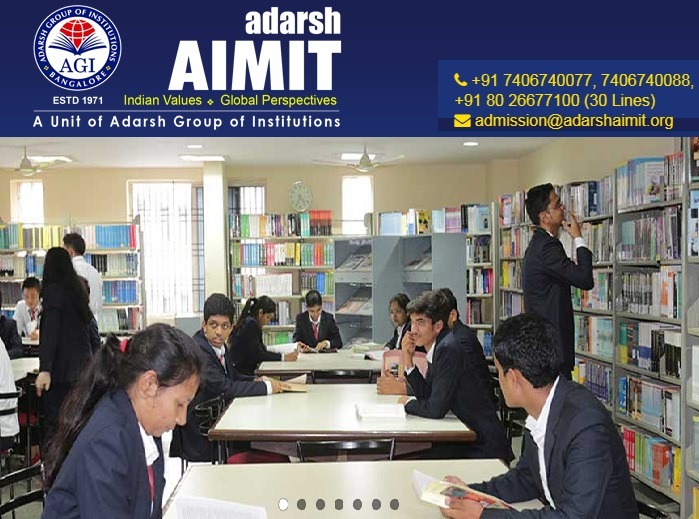 It is a national entrance exam for admission to the post graduate programs in management courses of several management institutes all over India. Common Management Admission Test (CMAT) is conducted by the All India Council for technical Education (AICTE) for admission in all management programmes approved by AICTE. The Graduate Management Admission Test (GMAT) is conducted by Graduate Management Admission Council for admission in colleges worldwide. Joint Management Entrance Test (JMET) is the MBA entrance exam for admissions to the management departments of IITs. The colleges also conduct Group Discussions and Personal Interviews of selected candidates before finalizing the admissions.